One of the more perplexing problems of economic development is helping subsistence farmers break away from production simply for home consumption to become commercial farmers, producing more and more for sale in the marketplace. Although subsistence farms occupy 40 percent of the worlds cultivated land and support half of mankind, facts about them and programs to increase their output are scattered. 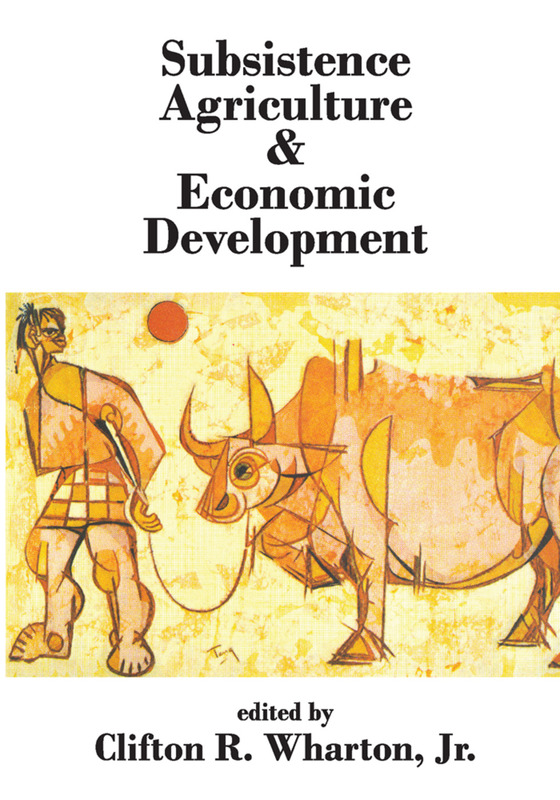 Subsistence Agriculture and Economic Development provides a unique overview of these difficulties and their significance to economic development. It is the first book to subject subsistence agriculture to rigorous multi-disciplinary examination and to bring to light new theory and empirical evidence directed toward solving the problem.This volume contains original chapters by forty leading social scientists and agricultural specialists who summarize contemporary theory, fact, and policy on the problems of developing agriculture from subsistence to a commercial basis. Each contributor speaks from one or more of the relevant standpoints of economics, sociology, agronomy, political science, anthropology, and social psychology. There emerges a clear, meaningful picture of the subsistence farmer and the problems involved in changing his attitudes, methods of production, and economic and social environment.Broad in scope, documented with pertinent case studies, and far-reaching in its guidelines for future research and policy, this work should be read by all concerned with increasing food production and with economic development. This is an area of special concern in the uses of food products as the basis for new energy resources - an issue of increasing importance in the advancing use of ethanol as a fuel drawn from corn products.